The Article: Running It All On Clean Energy: “A Question Of Social And Political Will” by Sandy DeChart in CleanTechnica. The Text: Stanford Woods Institute for the Environment Senior Fellow Mark Jacobson says the United States has the technology and logistical ability to convert to all-renewable energy sources by 2050—if we can manage to exercise the social and political will to do so. He’s the guy who told David Letterman we already have enough wind to power the entire world “seven times over.” Now he has proven his point with a groundbreaking roadmap to clean energy for all 50 U.S. states. With colleagues from academia and industry, Jacobson—a professor of civil and environmental engineering at Stanford and a senior fellow at the Precourt Institute for Energy—recently developed detailed plans that three states (New York, 2/18/13; Washington, 1/14/14; and California, yesterday—2/22/14) could use to switch over their energy infrastructures from conventional fuels to 100% renewable resources by 2050. As Jacobson uses the term, “infrastructure” includes electric power, transportation, heating/cooling, and industry uses. “Renewable power” is derived primarily from wind, water, and sunlight (WWS), generating electricity and electrolytic hydrogen. -Powering the U.S. with only wind, water, and solar energy sources would save the average consumer $3,400 per year. -Over 15 years, driving an electric car could save $20,000-$40,000 in energy costs. 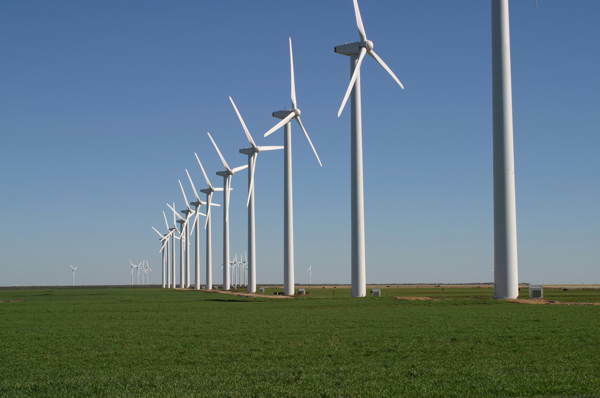 -In 2013, states endowed with greater wind power had energy costs increase 3 cents; all other states (except Hawaii) saw costs increase 4 cents. -Large offshore wind farms could reduce hurricane storm surges up to 80% and wind speeds up to 50%. -Powering the country solely with WWS could generate a 3% GDP uptick. Several years ago, Jacobson teamed up with Mark A. Delucchi (a research scientist at the Institute of Transportation Studies at the University of California, Davis) to publish an article showing that the entire world could actually be powered by renewable energy. Earlier this year CleanTechnica editor Zach Shahan also summed up some key points on clean energy and the electric vehicle revolution that Jacobson made at a Google talk.